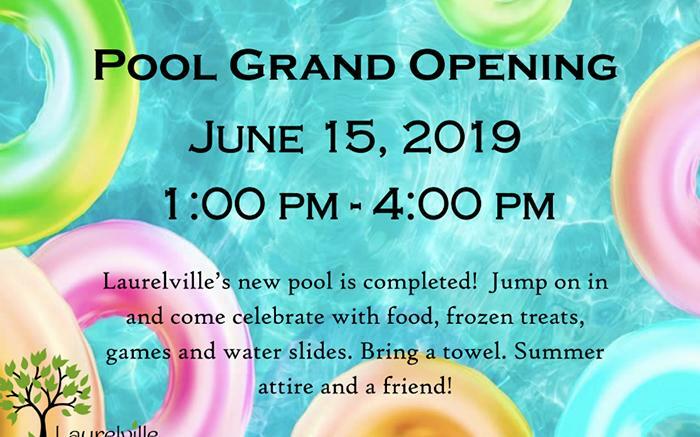 Laurelville's new pool is completed! 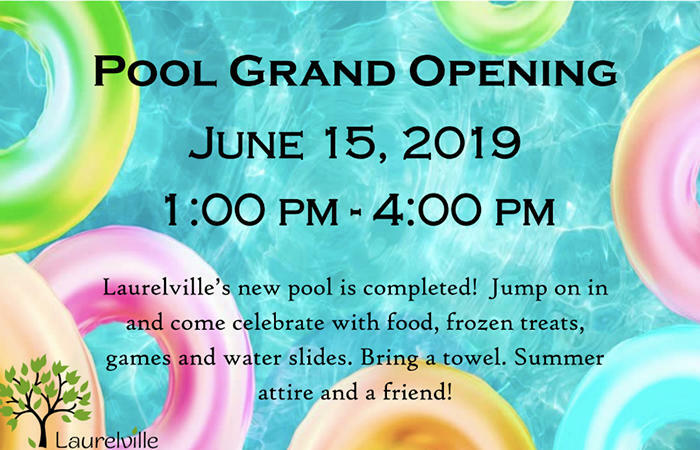 Jump on in and come celebrate with food, frozen treats, games and water slides. Bring a towel. Summer attire and a friend!